When peace talks are proposed to negotiate an end to the decades-old sectarian conflict that left thousands dead and tens of thousands wounded, women in Northern Ireland decide to take matters into their own hands. 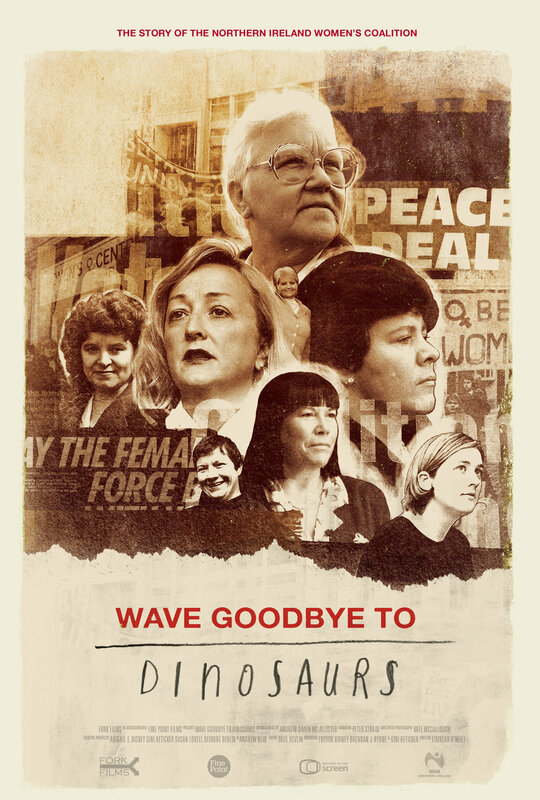 Wave Goodbye to Dinosaurs vividly shows the story of Catholic and Protestant women who unite to form an all-female political party, win seats at the negotiating table, and fight to ensure that their policies around human rights, equality, and inclusion are reflected in the Good Friday Agreement. Features interviews with members of the Women’s Coalition, Hillary Rodham Clinton, Senator George Mitchell and civil rights campaigner Bernadette Devlin.